Bell SX-1 Race Helmet: Hit The Dirt! Did someone say dirt? Wait for me, please! But let me grab my new sick Bell SX-1 helmet first. This winter Bell introduces a new graphic to the lineup called the “Race”. The Race graphic screams endurance, skill, and that “I am coming to get you” type of attitude. Let’s dive in and break down what is new with the SX-1 Race helmet from Bell. 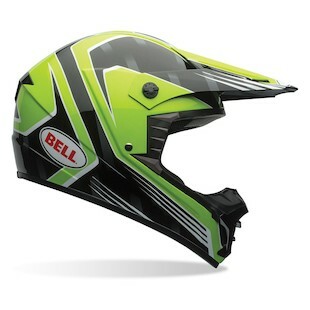 The Bell SX-1 Race Helmet is going to be available in 5 different colorways; Black, Blue, Red, Orange and Green. Bell basically covered every off-road bike manufacturers with their colorway of options. The graphic lines on these helmets is super rad. Bell designed it with swoshing lines, just like if you were on the dirt track and the guy next to you flys by on the straight away and all you see is a streak of color. What do you do next? 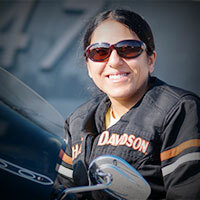 Grab that throttle and go!! Man, this graphic has me so hyped for my next day in the dirt! Bring it! So, in the end, if you are looking to speed up and hunt your prey down on the dirt track on in the woods the SX-1 Race graphic might give you the inspiration you need to conquer the trails! For under $100 bucks Bell really hit a homerun with the SX-1 helmet in general. One of the best intermediate oval dirt helmets in its price point. Bell, for 58 years of helmet making you have never let us down. Always cool stuff!